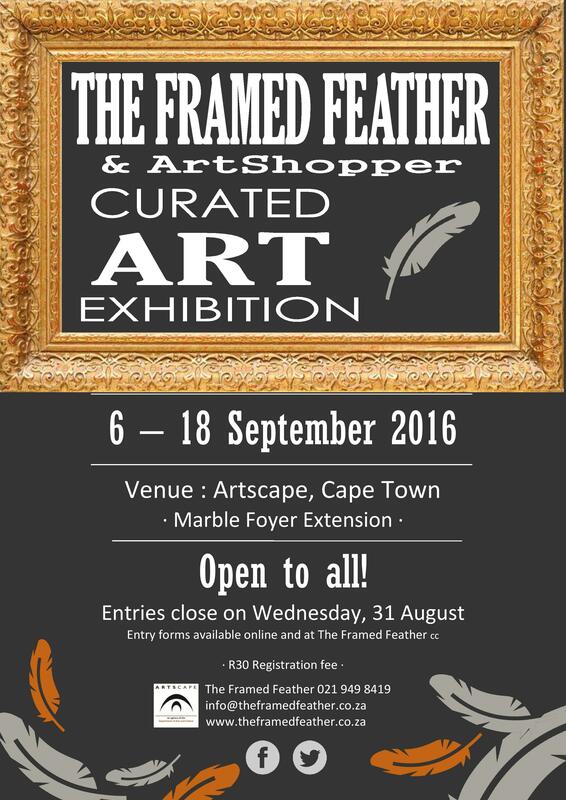 Join us for this Group Exhibition which will be at Artscape in September! We call on artists to submit one artwork no bigger than 500 × 700mm, framed and ready to hang. The exhibition will run from 6 to 18 September 2016 and the closing date for entries will be the 30th of August, with a R30 entry fee. 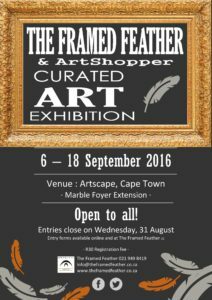 Email us at info@theframedfeather.co.za for entry forms and terms and conditions. brushes, canvas, easels, sets etc.